Journey to Antarctica the relaxing way by flying to/from King George Island. No Drake Passage crossing! 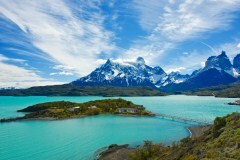 Stay in luxury accommodation including the impressive Explore Patagonia and Singular Hotel in Santiago. Explore Torres del Paine National Park, an unrivalled landscape of jagged peaks, clear blue lakes, spectacular waterfalls and rivers. Ability to extend your trip into other parts of South America. On arrival at Santiago airport you will be met by our representative and transferred to the 5 star Singular Santiago Hotel situated in an area brimming with history and surrounded by the best museums, galleries, trendy shops, antique stores and innovative restaurants. Let us introduce you to the classic city we know and love on this half day introductory tour with your chauffeur and expert local guide. 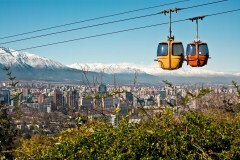 The Chilean capital city, located in the Central Valley, is home to some seven million people and enjoys a unique urban environment that artfully unites classic and modern. Chile´s rich cultural heritage comes to life as we visit iconic symbols of the city, including la Plaza de Armas (the main square), Santa Lucia Hill, La Moneda (the government palace), the Post Office and the Santiago Metropolitan Cathedral. Then we’ll head to Cerro San Cristobal, a tall hill rising nearly one thousand feet above the city, located inside the city’s largest urban park. Standing atop the hill you’ll find a church, as well as a stunning seventy-two foot statue of the Blessed Virgin Mary. Finally, we will visit the Orient Sector, the most modern area of the city, with its impressive high rise buildings and classy boulevards. On completion of the tour you’ll have free time to further explore the city. Transfer to the airport for your flight to Punta Arenas, Chile, where you are welcomed by a representative and transferred to your hotel. In the afternoon, you attend a briefing that provides important information about your voyage and reviews the essential guidelines for Antarctic visitors. Later, gather for a welcome dinner and meet your fellow adventurers while enjoying a typical regional menu. 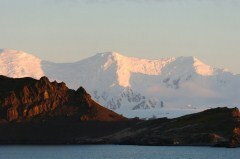 Return to King George Island and bid farewell to Antarctica before boarding the flight back to Punta Arenas. On arrival in Punta Arenas you will be met and transferred to your hotel. This morning you will be picked up and transferred by luxury van to Puerto Natales, gateway to Torres del Paine National Park. The two and a half hour drive will take you along wide open pampas and fjords, through lenga forests and local estancias, whilst spotting Patagonian wildlife such as the guanaco or ñandu. All meals and open bar included. Each season has its own charm, revealing new and distinct aspects of this remote place. At Explora, there are more than 40 explorations: on foot or on horse, half-day or full-day, at all difficulty levels. All of the guides speak fluent Spanish and English, and are very knowledgeable of their surroundings. Every evening at the hotel bar, guides meet up with guests to program the next day's activities and explorations are carried out in groups of no more than 8 people. After breakfast, depart Explora Patagonia on your transfer back to Punta Arenas airport or hotel. 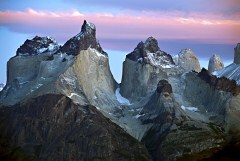 Alternatively there are options to continue on to El Calafate in Argentina.